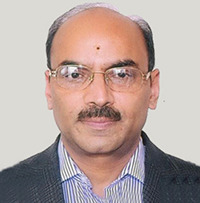 Dr. S.S. Randhawa has been associated with Himachal Pradesh Council for Science, Technology & Environment since 1993 and presently working as Principal Scientific Officer. Born on 26th November 1965, joined Honors School in Geology , Punjab University Chandigarh in the year 1984 and did B.Sc. (Hons.) from Department of CAS in Geology, PU Chandigarh in 1987 and completed his Masters in 1988 and then M.Phil in 1989 and PhD in 2008 from Punjab University, Chandigarh. He has also done B.Lib & Information Science from Punjab University Chandigarh 1991.While working in the State Council has carried out various studies particularly on the mapping of natural resources in Himachal Pradesh using space data, exploration of ground water using space data, and various geotechnical studies particularly for NHPC, HPSEB in Himachal Pradesh as well as in Jammu & Kashmir. Also has the credit to undertake snow and glacier studies in Himachal Pradesh for the first time using satellite data along with Space Applications Centre Ahmadabad and generated the complete inventory of Himalayan glaciers in Himachal Pradesh on 1:50,000 scale. Also carried out studies for the mapping and management of Natural Disasters in Himachal Pradesh using satellite data and also carried out Training Need Assessment (DM) in Himachal Pradesh for various stakeholder departments as a major input for the Govt of Himachal Pradesh. Presently coordinating activities of the Himachal Pradesh State Centre on Climate Change established under the aegis of the State Council for Science Technology & Environment. Has the credit to work with SWISS Scientist and carried out a study under Indian Himalayan Climate Adaptation Programme (IHCAP) in Kullu district and undertook mapping of Permafrost in Indian Himalayan for the first time using space data. Member of the Indian Scientist team who visited Switzerland in 2015 on a exposure visit under ICHAP program. Besides this, visited China (two times), Austria and Germany and presented the work done in Himachal Pradesh on glaciers and disasters using space data. Has published than 35 Research Papers in various National & International Journals and also co author in the one of book chapter along with Swiss Scientists on GLOFs (Glacial lake Outbursts Floods). Shubra Randhawa (MSc. M.Tech Env. Engg) has more than five years of research experience in H.P. State Centre for Climate Change. Her specialization is in the field of Climate change, Solid Waste Management & Natural Resource Management (wetlands). 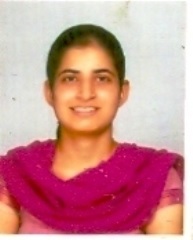 She has good academic record and did her M.Sc.in Environmental Sciences with specialization in Solid Waste Management from Panjab University, Chandigarh and M.Tech. in Environmental Engineering from PEC University of Technology, Chandigarh. She has attended many workshops and seminars. 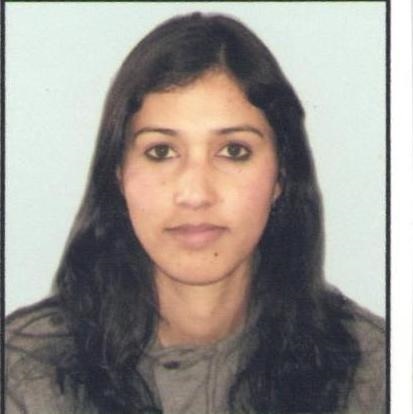 Pooja Rana (M.Sc. Geology, PG Diploma in Remote Sensing & GIS) has more than five years of research experience. She is working as Scientific Professional in H.P. State Center for Climate Change. 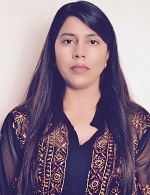 Her work includes temporal analysis of landuse/landcover changes using space data, Vulnerability and risk analysis of geohazards in Himalayan region. She has special interest in the application of remote sensing & GIS techniques in snow & glacier studies, climate induced hazard studies and geological hazard studies. Abhay Mahajan (Ph.D. Forestry) has completed his doctorate from Dr. Y. S. Parmar University of Horticulture and Forestry, Nauni, Solan (H.P.). His work includes the studies on forest composition on regeneration and growth attributes of chirpine and sustainability of Himalayan chirpine forest. He has special interest of the studies on Silviculture, Forest Biometrics and Quantitative Silvicultural Research. He has handled LAI-2000 Plant Canopy Analyser, HTC LX-101 Digital Lux meter, Digital pH meter and Flame photometer, computers (MS Office and Q-Basic language).He has authored one book, published 3 research papers and 2 research papers that are likely to be published soon. He has the ability to work with multidisciplinary teams and to work independently and in a team towards shared goals and develop research methodology, manage research projects, and summarize research findings in technical reports and research papers. Nishtha Gautam is graduated from St Bede’s college and got 5th rank in merit. She has done M.phill from HPU and the title of her dissertation was the Environmental Problems in Shimla Town: A case Study in People’s Perception. She did diploma in remote sensing and Gis from the same university. 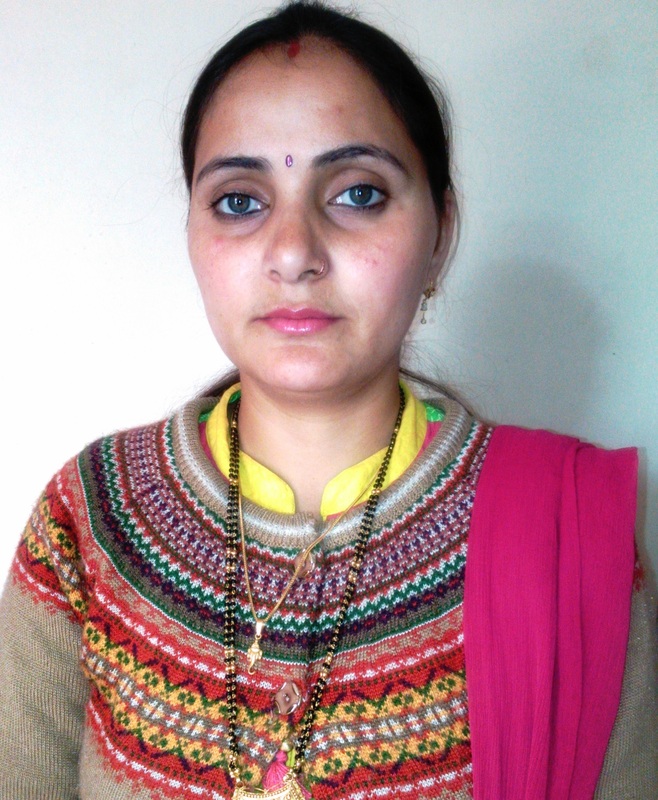 Dr. Priyanka Sharma (Ph.D Environmental Science) did her B.Sc and M.Sc (Environmental Science) from Chaudhary Sarwan Kumar Himachal Pradesh Krishi Vishvavidyalaya (CSKHPKV), Palampur (HP) and Ph.D in Environment Science from Dr YSP UHF, Nauni, Solan (HP) with specialization in the field of Climate change and was awarded stiphend scholarship for 2years in Msc from department of Biology and Environment science, CSKHPKV Palampur. Her M.Sc and Ph.D research studies were undertaken to identify and know the extent of various climatic parameters affecting growth, development, yield and quality of different crops. Her work includes to study the “Impact of weather parameters on seed production of Cauliflower (Brassica oleracea var. botrytis L.) in mid hills of Himachal Pradesh”. She has special interest of the studies on climate change, Biodiversity and its conservation and Vegetable science. She has published 2 research papers and two abstract in the journals of national and international repute. She has handled Spectrophotometer, Hot air oven, Incubator, Seed germinator, Laminar, IC and Microscope. 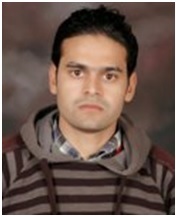 Harish Bharti has done his M.Sc. Botany from Shoolini Institute of Life Science and Business Management (SILB) Solan which is affiliated to Himachal Pradesh University Shimla. His Specialization is in Biodiversity, Ethanobotany, Bioprospecting and Sustainable Utilization of Plant Resources and his project was on Wild Edible Fruits and Vegetables of Himachal Pradesh. He has done his graduation in Medical Science from Govt. Degree College karsog. He has attends many seminars and lectures on Environment, Biodiversity and certain current issues. He also attends a workshop with International Union for Conservation of Nature and Natural Resources on climate change in the country office at Delhi. Presently he is working as Scientific Professional at the Himachal Pradesh State Council for Science Technologies and Environment. Ritesh Kumar Is graduated from GPG College Sarkaghat, District Mandi Himachal Pradesh. He has done M.A Geography and M.Phil.entitled as“Population Base, Land Economy and Food Security in Himachal Pradesh: A Geographical Analysis” from Himachal Pradesh University Shimla. He has done Diploma in Remote Sensing and GIS from the same University and have knowledge of software’s ArcGIS and ERDAS. He has published two research paper in national journals of Geography and attended many conferences and workshops of national level. He is working as Scientific Professional in H.P. State Centre for Climate Change. His work includes snow ice harvesting at Pooh Village, district Kinnaur of Himachal Pradesh. 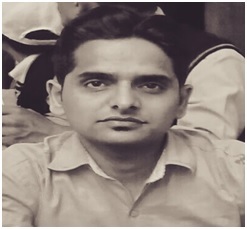 Vikas Verma (PGDCA,PGDM) is working as a Data Entry Operator in Himachal Pradesh State Centre on Climate Change O/o State Council for Science, Technology & Environment, H.P since 2012. He got well experienced as a Relationship Officer in Fullerton India Credit Company Limited, Solan, H.P. 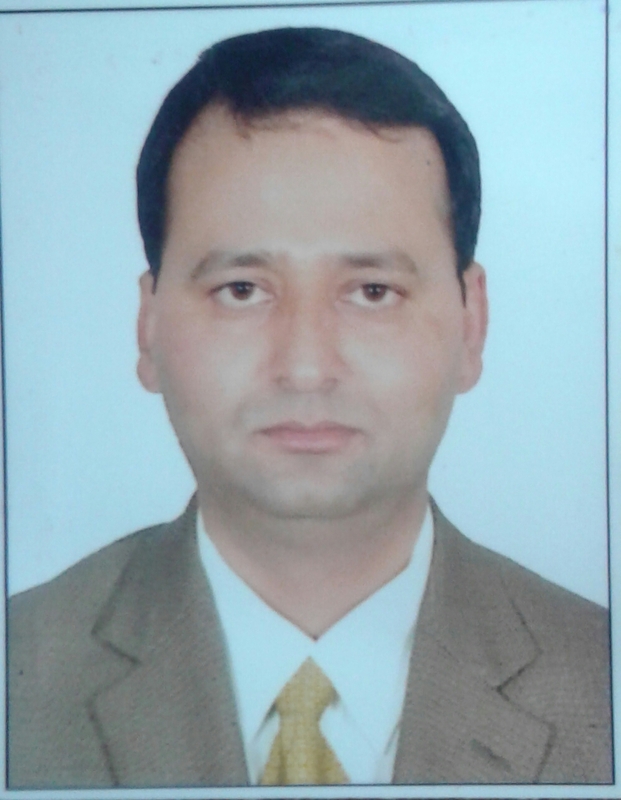 He joined Himachal Pradesh State Centre on Climate Change as DEO in Feb. 2012 and has got a good experience in maintain the data entry of National Environment Awareness Campaign (NEAC) & Eco-Club Reports, Right to Information Act (RTI) related works and doing other official work. Jitendra Kumar Sharma(BSC(IT)) is working as Data Entry Operator in H.P State Centre on Climate Change O/o the State Council for Science Technology and Environment, since 2012. He got well experience from Glenmark Pharmaceutical Ltd, Baddi. He joined HP State Centre on Climate Change as Data Entry Operator in January 2012, and has got a good experience in maintain the data entry, compiling and also doing other official work.